The man who cancelled Ola cab claims he is an active member of the Vishwa Hindu Parishad and Bajrang Dal -- both affiliates of the BJP's ideological mentor Rashtriya Swayamsevak Sangh -- and "holds responsibility" of the IT cell of the VHP. The Twitter user who cancelled the Ola cab claimed he is a member of VHP. A post by a man that he cancelled an Ola cab because the driver happened to be a Muslim, has triggered a huge debate on Twitter. 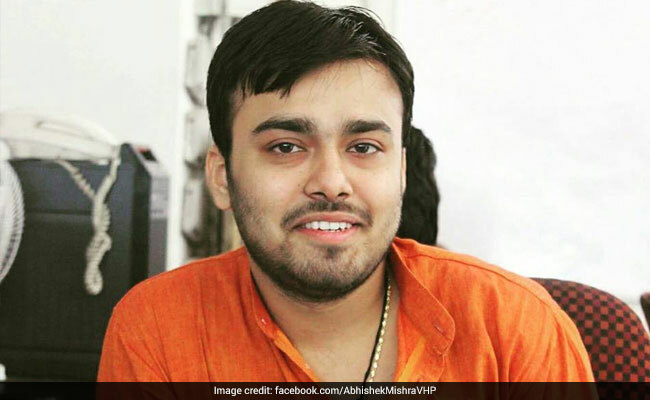 Abhishek Mishra, who claims to be linked to Vishwa Hindu Parishad, has a few big names among his over 14,000 followers on Twitter -- defence minister Nirmala Sitharaman, petroleum minister Dharmendra Pradhan and minister of culture Mahesh Sharma. On April 20, he announced that he cancelled the cab because he did not want to give money to "Jihadi People". He enclosed a screenshot of the cancellation, which showed the driver's name -- Masood Alam. Abhishek Mishra posted the tweet on Friday. 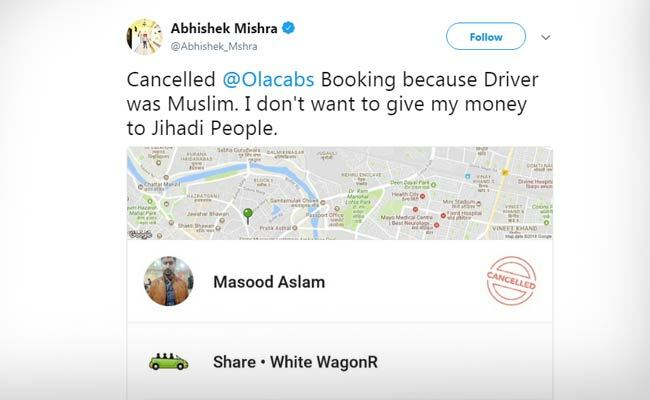 Many on Twitter asked Ola to ban Abhishek Mishra. Others said the lack of reaction from the taxicab aggregator was a message in itself. Yet others, drawing on his purported links with the Uttar Pradesh government, asked for UP Chief Minister Yogi Adityanath to take action against him. Responding to his tweet on Saturday evening, Ola cabs said, "Ola, like our country, is a secular platform, and we don't discriminate our driver partners or customers basis their caste, religion, gender or creed. We urge all our customers and driver partners to treat each other with respect at all times." Abhishek Mishra's Facebook profile says he is from Ayodhya and works as an IT professional in Lucknow. He claims he is an active member of the Vishwa Hindu Parishad and Bajrang Dal -- both affiliates of the BJP's ideological mentor Rashtriya Swayamsevak Sangh -- and "holds responsibility" of the IT cell of the VHP. As reactions started to pour in, he posted a second message. "People starts attack on me. Can I have no right to choose ? If they can run a campaign against Hanuman ji poster on cab, defamed Hindus and Hindus god in Kathua incident then they must be prepared for reply," this one read. 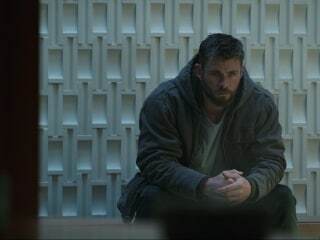 A few other Twitter users too posted tweets in his defence, describing his move as "freedom of expression" and shared screenshots of similar discrimination by other social media users.